One of the briefest, yet among the most remarkable eras of 20th-century design would have to be Sweden’s 1920’s romantic national style known as Swedish Grace. British journalist Philip Morton Shand was first to use the term to describe and underline the simple elegance of this golden decade. Refined pieces of furniture, simple lines enhanced by exquisite details and ancient motifs, all hand-made with extraordinary craftsmanship. In an article for The Architectural Review, Morton Shand harshly criticised the British pavilion at the 1925 Paris Exposition des Arts Décoratifs. Instead, Shand stated, it was the Swedes that excelled in combining the best of neo-classicism with art déco, without forgetting to instill typical Swedish character to their pieces. It was at the 1925 Paris exhibition – the showcase for what has become known as Art Déco - that Swedish design made its breakthrough. The Swedish pavilion took the form of a neo- Greek temple designed by acclaimed architect Carl Bergsten, with furniture by Gunnar Asplund, Carl Malmsten, Carl Hörvik and Uno Åhrén, to name a few. Sweden won no less than 36 Grand Prix, 100 gold medals and countless honorary mentions. An honourable second place, after the host nation France. Two years later, in 1927, Sweden became the first country to exhibit at the Metropolitan Museum in New York, with Swedish Contemporary Decorative Arts. 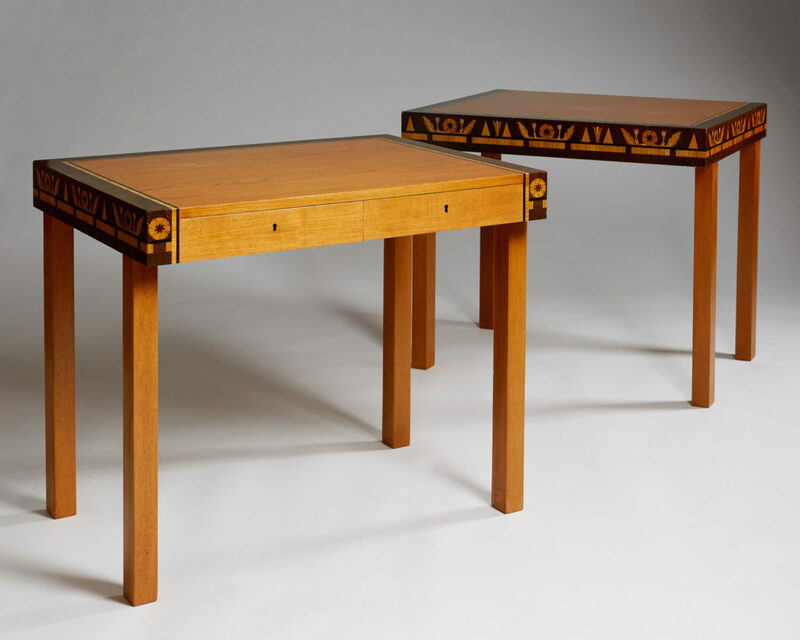 Both landmark events, together with the Barcelona exhibition in 1929 with exquisite furniture made by Axel Einar Hjorth, were to cement the good reputation of Swedish design. Soon after though, the country was going to embrace the inexorable progression of modernism and functionalism, making Swedish Grace look like a short yet exceptional parenthesis in the history of 20th-century design. 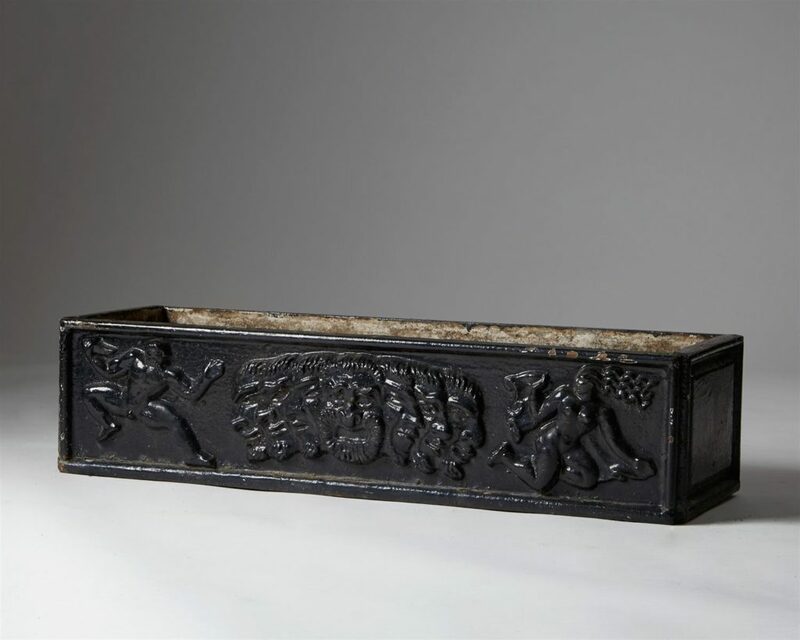 In the past few years, the discreet charm and high refinement of Swedish Grace has been promoted by a handful of 20th-century dealers, making this golden era as popular among highly demanding collectors today as it was in the 1920’s. 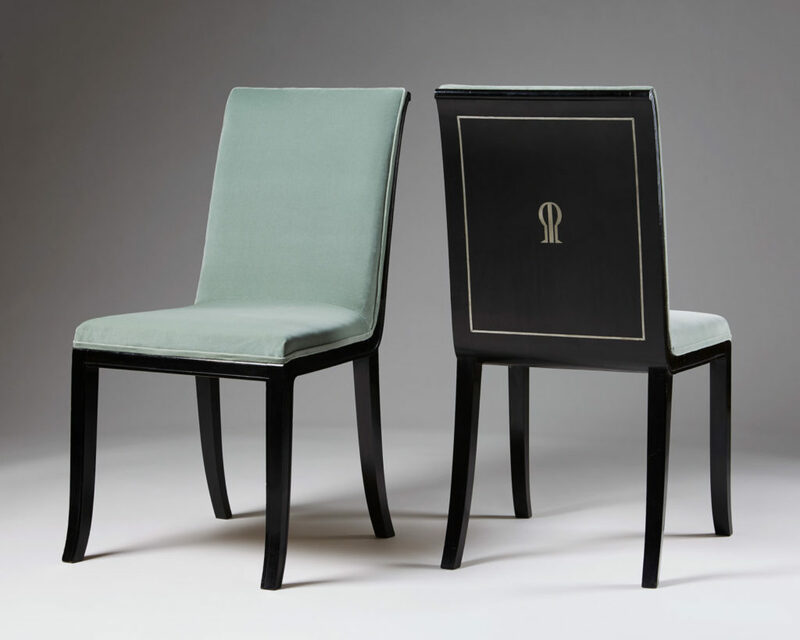 The most representative designs of Swedish Grace would have to be furniture pieces signed by Carl Malmsten, Axel Einar Hjorth, Gunnar Asplund (see famous Senna armchair), Carl Hörvik, Uno Åhrén or Nils Fougstedt’s and Anna Petrus’ works for Svenskt Tenn. Among objects, look for engraved glass by Simon Gate for Orrefors, ceramics by Wilhelm Kåge for Gustavsberg, and iron works from Näfveqvarn. 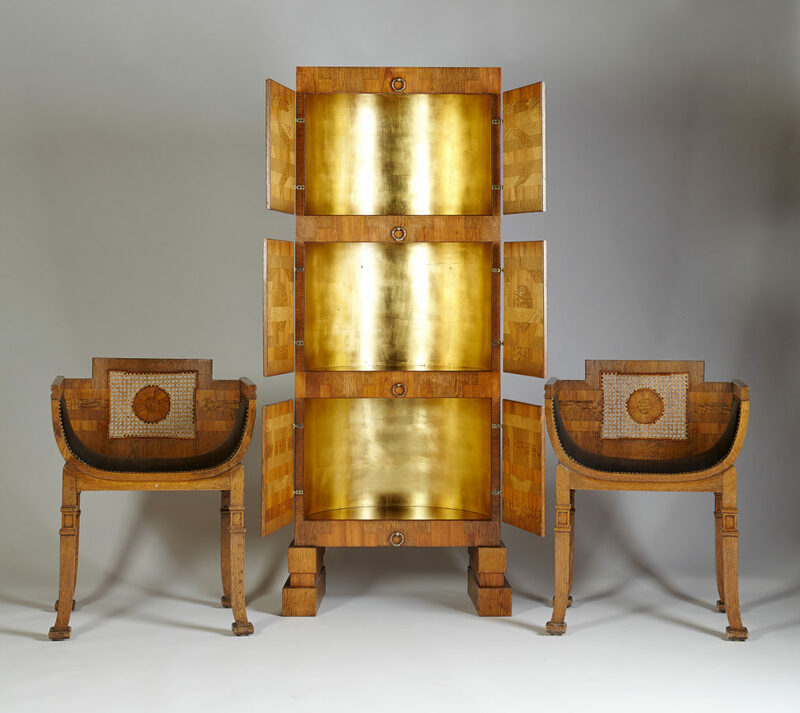 Cabinet and chairs designed by Carl Hörvik for the 1925 Paris Exhibition - Now in the Stockholm National Museum collection. 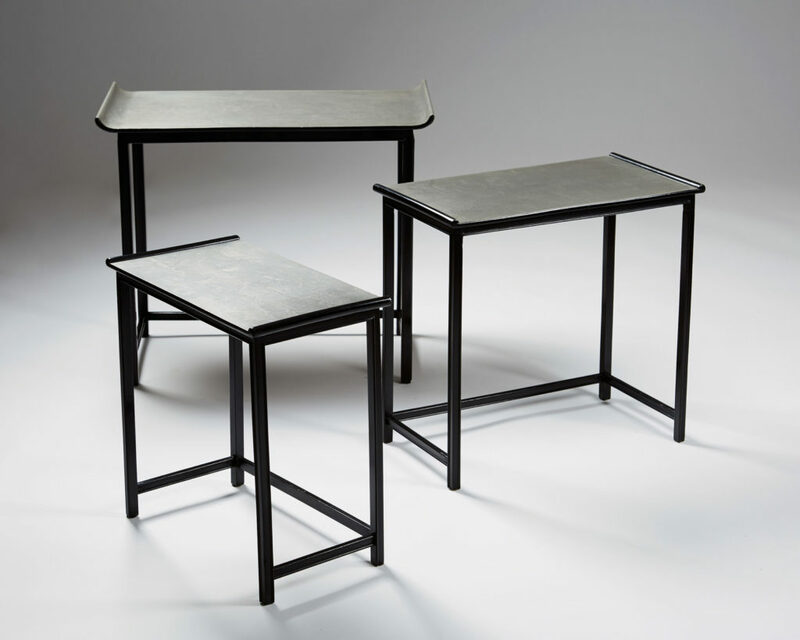 Nest of tables designed by Nils Fougstedt for Svenskt Tenn, Sweden. 1932. Planter No 1, designed by Anna Petrus for Näfveqvarn, Sweden. 1925. Two-drawer desks designed by Carl Malmsten for Åtvidaberg, Sweden. 1934. 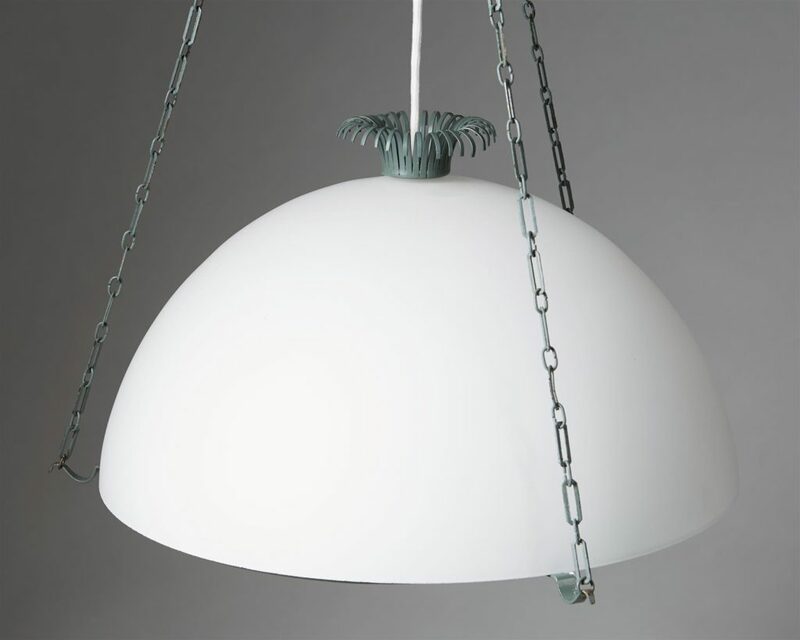 Ceiling lamp designed by Gunnar Asplund, Sweden. 1930's.